a scientific community that reflects the diversity found along our city streets. The mobility of TTT allows the project to overcome transportation barriers in the communities we serve. We use a multifaceted strategy, engaging not only students but also their teachers and families to accomplish our mission of creating a scientific community that reflects the diversity found on our city’s streets. TTT's approach consists in three programs spanning both breadth and depth to engage historically underrepresented populations. Scroll down to read more. Street Science, our most far-reaching program, makes science exciting and relevant for a broader audience. Our mobile lab drives to museums and public events to deliver sidewalk talks and live demonstrations. Citizens get to learn of the latest life-changing discoveries and try on our brainwave-reading headsets, allowing them to paint, create music, and control robots using only their minds. Highly motivated high school students will be selected for the Big Thinkers program: a two-year mentored apprenticeship in world-class University of Chicago labs. Big Thinkers will undertake an immersive research experience with one-on-one guidance from graduate student mentors and inspirational visits from TTT Scholars: eminent scientists from STEM-underrepresented groups. By making our Big Thinkers a part of the research process, we hope to ignite students’ passion for science and create the next generation of ‘thought leaders’ in STEM. Daniel did his Ph.D. at MIT, his post-doc at Stanford, and is now an Assistant Professor of Psychology at the University of Chicago. There, he researches how linguistic, cultural, and bodily experiences shape the mind and brain. His 50+ scientific publications have been funded by the NSF, the NIMH, and by a James S. McDonnell Foundation Scholar Award, and have been featured in the NY Times and the Wall Street Journal. He is a founding editor of the interdisciplinary journal Language and Cognition and director of the Experience and Cognition Lab at the University of Chicago. Monica is a third year student at the University of Chicago majoring in biology and minoring in molecular engineering and French. She is also on the Varsity diving team. In her free time, she helps coordinate The Think Tank's operations, volunteers at the hospital, and hangs out with her friends. Amrit graduated from St. John's College in 2015, having completed the Great Books Program. He currently works as the lab manager for Dr. Daniel Casasanto's Experience and Cognition Lab. Outside of his interests in cognitive science and philosophy, Amrit is also passionate about shape note singing, learning new languages, and poetry. 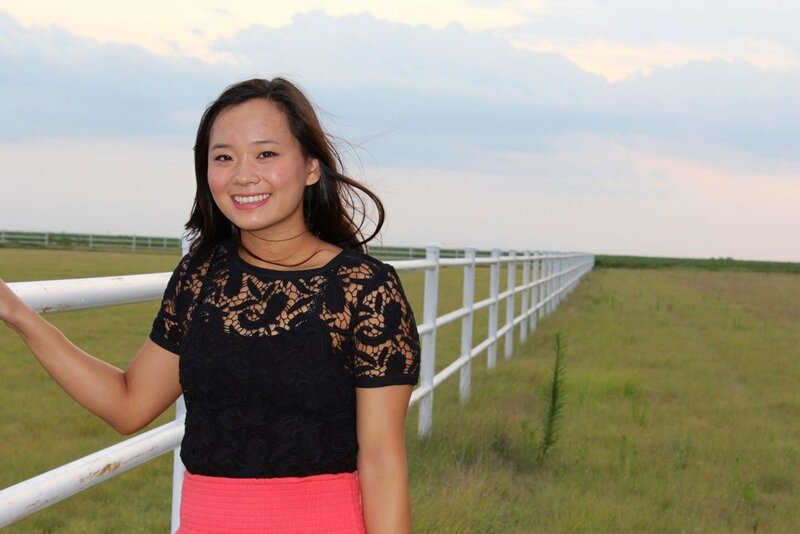 Marianna Zhang is a third-year studying psychology and philosophy. She works as a research assistant at the Experience and Cognition Lab, where she is interested in how our categories and concepts interact with language. She is also an avid rock climber, Sufjan Stevens enthusiast, and purveyor of high-fives. Jillian is a first year at the University of Chicago, and a proud Chicago native! She is a pre-med student majoring in Neuroscience and considering a minor in French. In her spare time, she enjoys reading, listening to music, playing Ultimate, talking about how incredibly cool brains are, and (trying) to practice guitar. Sumer is a 3rd year pursuing a psychology major with a minor in computational neuroscience. His research interests include numerical cognition and embodied cognition. He has been a research assistant at Prof Casasanto's lab for about a year. Sumer hopes to pursue graduate school in the neurosciences after college. He is an avid fan of Coldplay and electronic music. In his free time, Sumer likes to keep fit and write fiction. He also has a passion for writing grant proposals! Emily is a second-year in the College studying Biology and Neuroscience. She currently works at the University of Chicago Hospitals as a clinical research assistant, and on campus she is involved in the University Symphony, NEURO, and the Taiwanese American Students Association. In her free time, she enjoys checking out overly-hyped cafes and restaurants, hitting up CSO concerts, and daydreaming about her next travel destination! Jean is a first-year pre-med student at The University of Chicago majoring in biology. She is also on the Varsity swim team. In her free time, she enjoys painting, playing the piano and violin, shopping, and working with kids. Amritha is a second year neuroscience major at the University of Chicago, from San Francisco, California. She is a member of the school’s club crew team, and in her free time she enjoys painting, listening to music, watching movies, and hanging out with her friends. Emily is a third year pre-med student majoring in Neuroscience. She works at a sleep lab in the hospital, as well as in a neurobiology lab where she raises baby octopuses. This neurobiology lab (the Ragsdale Lab) recently won an Emmy for their short video on their sequencing of the octopus genome, meaning Emily has indirectly won an Emmy, making her the coolest Braniac ever. Elias is a long distance operative for the Think Tank and a fourth-year student at Swarthmore College, where he is majoring in Psychology and Educational Studies with a minor in Cognitive Science. He is especially interested in how language acquisition research can be used to inform educational policy and practice for English-Language learners. At Swarthmore, he conducts research on language processing in the EEG/ERP Lab and works as a peer writing tutor. In his free time, he enjoys hiking, skiing, and running. Daron Bedian is a third year at the University of Chicago, studying Linguistics, Math and Near Eastern History. In his free time, he enjoys playing and listening to music, soccer, and all things Armenian. He is a cellist in the Middle East Music Ensemble at the University. After a stint doing research at the Casasanto Experience and Cognition Lab, he is now working with Fred Ciesla and Sebastiaan Krijt on modeling the early formation of star systems. Josh Oberman is a computer musician, sound artist, and recent graduate of UChicago, with a degree in philosophy and cognitive science. He has focused much of his artistic practice on the use of biosensing technologies. With support from UChicago's Music Department, he has programed work with the Emotiv EPOC EEG headset for solo performers and acoustic/synthetic duets, including performances and installations at UChicago Computer Music Studio, the Logan Center for the Arts, and Elastic Arts Foundation. Josh has also collaborated with composers and biologists to create the Chromochord: the world’s first musical instrument driven by nano-sized proteins. Of Rap Guide to Evolution fame, Baba Brinkman is the greatest science rapper alive. He treated BrainBash 2013 attendees to an incredible show. If you haven't witnessed the greatness that is Baba yet, head over to http://www.bababrinkman.com. One of the most talented cinematographers Tyler knows. Helped direct and edit the TTT Indiegogo video. Watch more of his work on his website: http://danielcowen.com. A company with the mission of democratizing brain research which makes totally amazing brain-computer interface products. Emotiv donated their EEG head-caps for our outreach efforts. Watch their tech in action in their TED talk. Nadia Powers and her org, IMPROVed got The Think Tank's teaching team on their feet for our teacher training. Book her and IMPROVed at http://improvedchicago.com. Development Director at Urban Pathways, a nonprofit fighting homelessness in NY. Karen helped us plan BrainBash 2013 and is secretly admired by Tyler for being a fellow fast-talking, no-nonsense New Yorker. Author of The Autobiography of Jenny X and One Pill Makes You Smaller. The brain behind TTT's press releases! A design irm that delivers brilliant branding to "good causes, like The Think Tank." Their words! We're lucky enough to have GB design our new logo. Check out their work at http://greatbeliever.us. Co-Founder Tyler's alma mater! MHC donated their beautiful brownstone for The Think Tank's BrainBash 2013. What is MHC? Macaulay Honors College at The City University of New York offers exceptional students a uniquely personalized education with access to the vast resources of the nation’s largest urban university and New York City itself. Selected for their top high school records and leadership potential, Macaulay students receive a full-tuition scholarship, a laptop and technology support, and a $7,500 Opportunities Fund to pursue global learning and service opportunities. A Cultural Passport provides access to museums, libraries, and other treasures around New York City. Macaulay students enroll in one of eight CUNY senior colleges (Baruch, Brooklyn, City, Hunter, John Jay, Lehman, Queens and Staten Island). For more information, see macaulay.cuny.edu. Auctioneer extraordinaire, Philae donated her expert auctioneering services to make BrainBash 2013 a huge hit. The greatest neuroscientist rockband on earth, The Amygdaloids had everyone dancing at BrainBash 2013. The band was named after the part of the brain thought to register fear, on which frontman Joe LeDoux is a renowned authority. Listen to their tracks at http://www.amygdaloids.com.